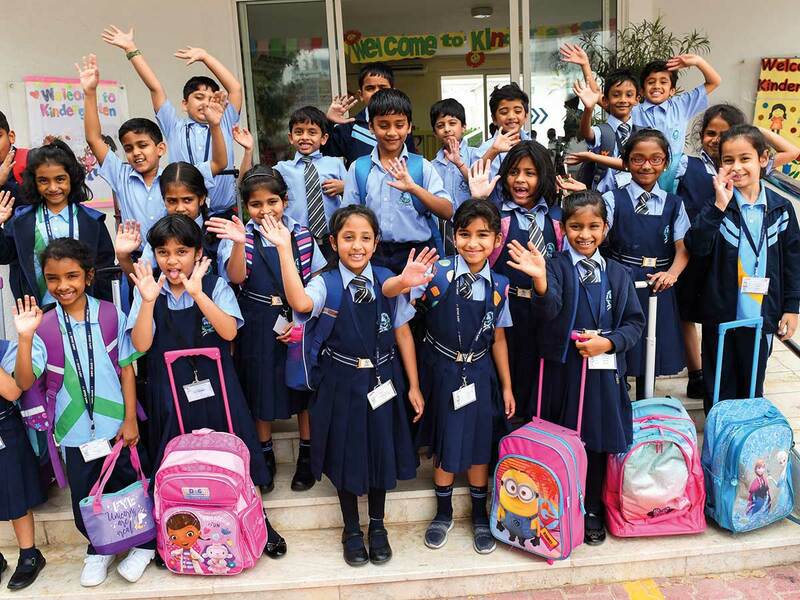 Dubai Thousands of students marched back to class on Monday for the new academic year for around 70 Indian-curriculum schools in the UAE. A number of schools reported strong enrolment and attendance rates, adding that they plan to launch fresh programmes for the new academic cycle. Many of the planned programmes will reflect the ‘Year of Tolerance’ (2019) in the UAE, schools said. Indian schools start a new academic year in April while most other schools start a new cycle in September. After UK curriculum schools, Indian curriculum schools are the most popular in Dubai, which has around 35 Indian schools. On Sunday, school principals told Gulf News the latest academic cycle (2019-20) will see new programmes launched. Ramesh Mudgal, principal at Global Indian International School-Dubai (GIIS Dubai), said the school plans to organise an inter-school festival and contest in October themed after the value of tolerance. The event will host competitions for public speaking, essay writing, debates, poster making and stage performances in support of tolerance and peace, Mudgal added. GIIS Dubai, which this year added grades seven and eight, is also rolling out a cricket academy offering professional coaching as an after-school extracurricular activity, he said. The KG section of GIIS Dubai will meanwhile start school on Tuesday. Mohammad Ali, principal of The Gulf Indian High School-Dubai, said this year the school is introducing robotics and STEM education as part of the primary and middle curriculum, in line with directives of India’s CBSE (Central Board of Secondary Education).